Human presence on Milos is attested from the second half of the 8th millennium BC (Mesolithic Period). At Nychia and Demenegaki there were facilities for the extraction of obsidian already since the Neolithic Period. During the Early Bronze Age (3300-2000 BC), mines developed at Chalakas, Pilos, Phylakopi and elsewhere. The first organized settlement of Phylakopi was built around 2200 BC. In 2000 BC the settlement was fortified, organized in blocks and acquired a road network and sewage system. The city was destroyed and was rebuilt in 1550 BC, while new disaster struck in 1400 BC. It was finally deserted in the 11th century. After the 11th century, new residents settled at Klima, to the south of Plaka. During the Geometric period (10th - 8th century BC), Milos was a center of pottery production and miniature art. During the Persian Wars, the inhabitants of Milos participated in the sea-battle of Salamis against the Persians. Contrary to the other Cycladic islands, Milos, an ally of Sparta, did not join the Athenian League. After the outbreak of the Peloponnesian War, Milos did not take sides with either Athens or Sparta. During 416 BC, the 16th year of the war, the Athenians gathered 38 triremes and 3,000 soldiers outside Milos in order to force the inhabitants to join the league. After the people of the island rejected their demands, the Athenians occupied the island, killed the men and sold the women and the children as slaves. Thucydides, in his description of the destruction of Milos, set out the arguments of both sides in one famous dialogue between the powerful and merciless Athenians and the weak but upright inhabitants of Milos. Survivors returned after the Peloponnesian War was over. During Hellenistic times, Milos shared the fortunes of the Commonwealth of the islands, while art and economy flourished. In 27 BC, it came under the Romans, without losing its prosperity. During the Byzantine period, Milos was integrated into the eparchy of the Aegean Islands, which had its see on Rhodes. The exploitation of its mineral wealth continued. After the Fall of Constantinople to the Franks (1204), Milos was integrated in the Duchy of Naxos, which was founded by Marco Sanudo. Hayreddin Barbarossa conquered the island for the Ottomans in 1537, but the Frankish family of the Crispi were allowed to remain as rulers of the island. In 1566, Milos was conceded by the Ottomans to the Jewish diplomat and administrator Joseph Nasi. After his death in 1579, the island was incorporated in the Ottoman administration system and flourished thanks to the privileges granted to it. It continued to flourish in the 17th century as well also thanks to the trade of products coming from piracy and to the development of shipping. Consuls of foreign powers settled on Milos. In the 18th century, its population decreased due in part to the pollution of the environment by the volcanic activity of Santorini. In 1771 Milos was occupied by the Russians within the framework of the Russo-Ottoman war. The island was recaptured by the Ottomans in 1774. During the 1821 Greek War of Independence, the constant presence of an Ottoman fleet on the island made the inhabitants’ participation difficult. 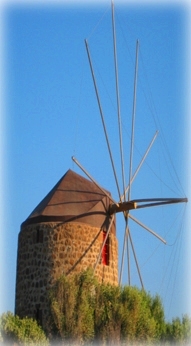 As the rest of the Cyclades, Milos was included in the territory of the newly established Greek state in 1830. Rapid development came in the 19th century thanks to the port of the island and the rich subsoil. After 1835, Cretan refugees came to Milos, founded Adamantas and augmented the island’s population. During World War II, on May 6th 1941, the Nazis occupied the island until its liberation at the end of the war. In the subsequent decades, Milos declined demographically due to migration in Athens and America. However, in the last decades the island’s economy has experienced a boost due to tourism.